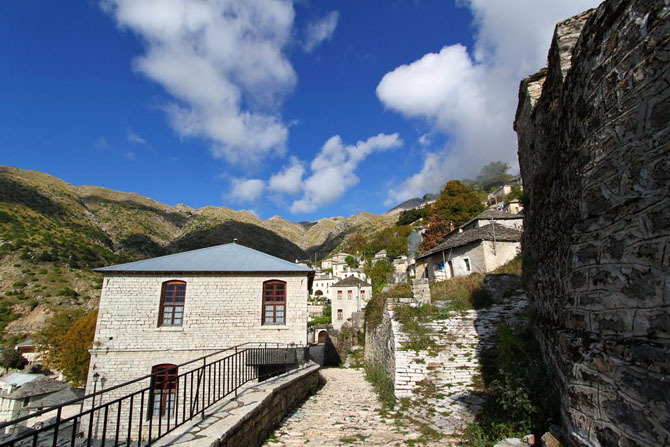 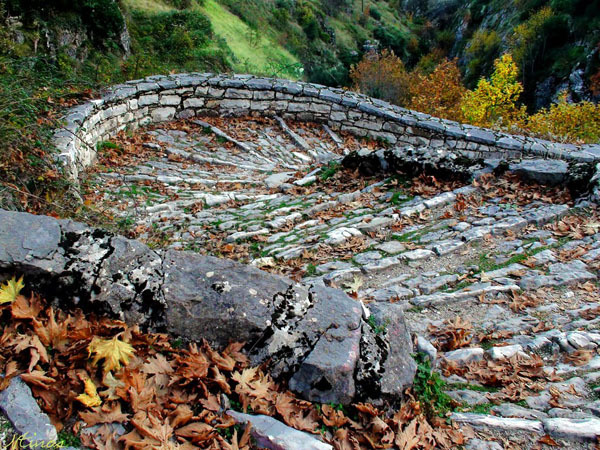 A narrow, winding road above the gorge of Kalarritikos River will take you to the village, whose incredible view will make you forget the difficult trip. 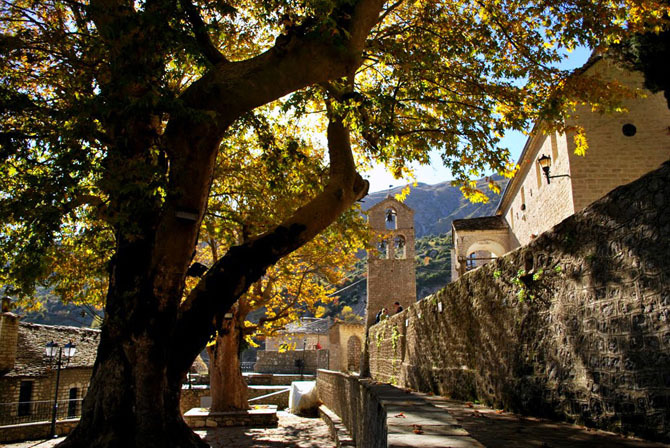 Visitors become amazed by this gorgeous village once they pass the stone gate and go up the paved alley that leads into the village. 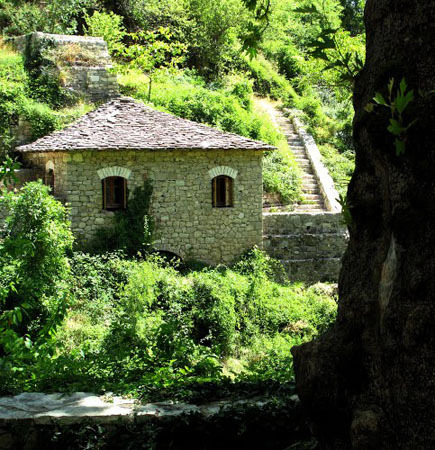 The experienced craftsmen of the village not only built these stone buildings, but also made sure they look like pieces of art. 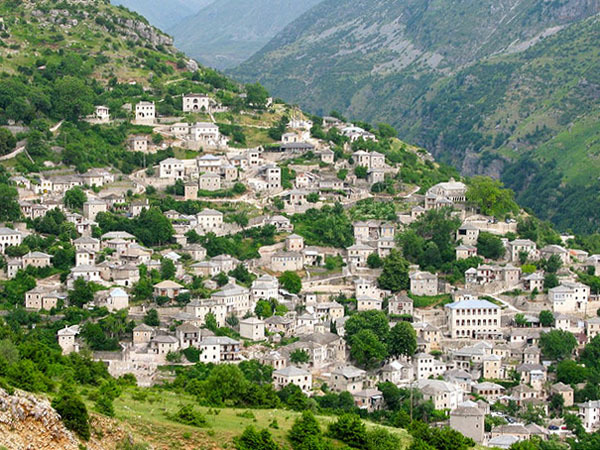 A few years ago the only resident of the village was a guard, but nowadays quite a few have returned. 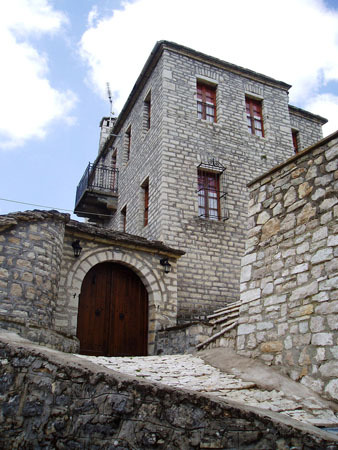 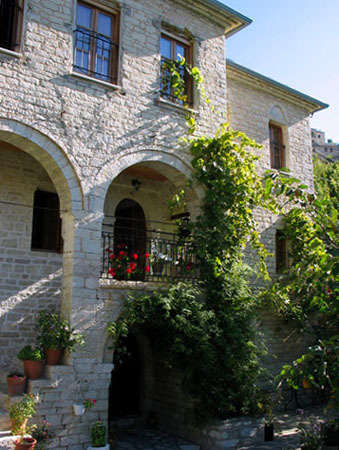 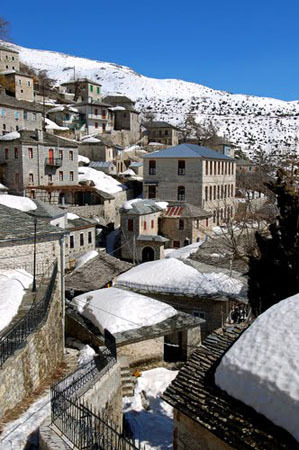 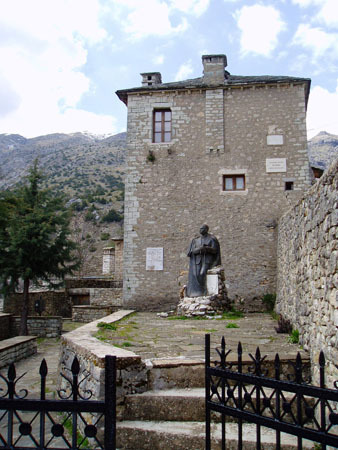 However, some of the sights such as the manor of Kristalis (greek writer) that operates as a folklore museum are open only on weekends during the winter. 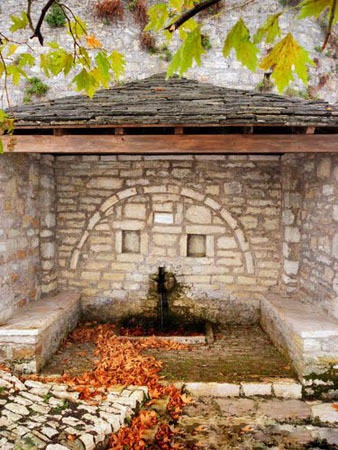 It is definitely worth visiting this beautiful village, make a stop in the spring and stroll between the well-preserved manors that reveal the wealth and prosperity of previous periods. 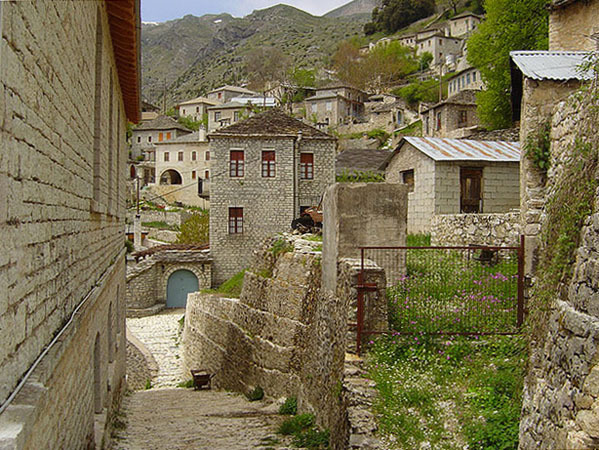 Sirrako and its “neighbor” Kalarrites have been designated as preserved settlements.